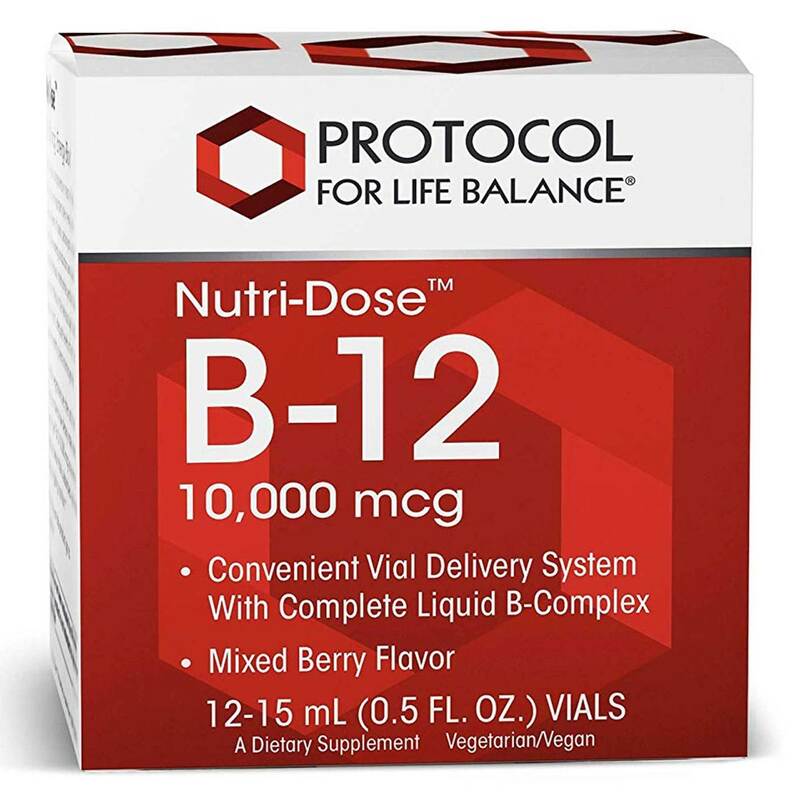 Nutri-Dose B-12 10,000 mcg by Protocol for Life Balance has only 25 calories per serving and come in great plastic vitals for you to tuck into your purse, bag or desk drawer! Warnings: For adults only. Consult physician if pregnant/nursing, taking medication, or have a medical condition. Keep out of reach of children. Xylitol is harmful to pets; seek veterinary care immediately if ingestion is suspected. Learn more about pet safety. Notes: Free of Dairy, Egg, Soy, Made without Gluten, Halal, Vegan/Vegetarian. 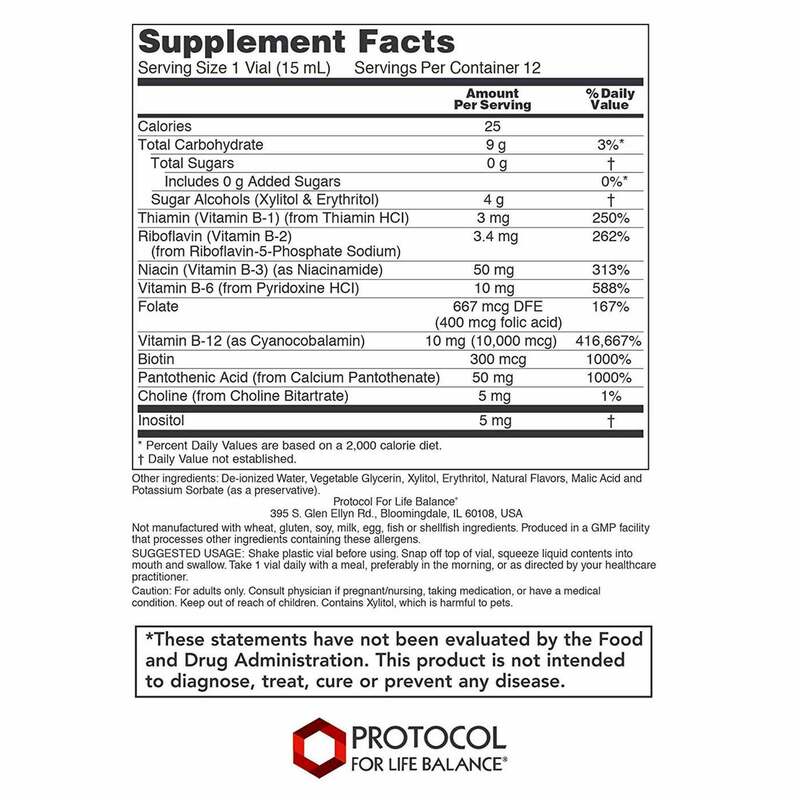 Other Ingredients: De-ionized Water, Vegetable Glycerine, Xylitol, Erythritol, Natural Flavors, Malic Acid, and Potassium Sorbate (as preservative). Recommended Use: Shake plastic vial before using. Snap off top of vial, squeeze liquid contents into mouth and swallow. 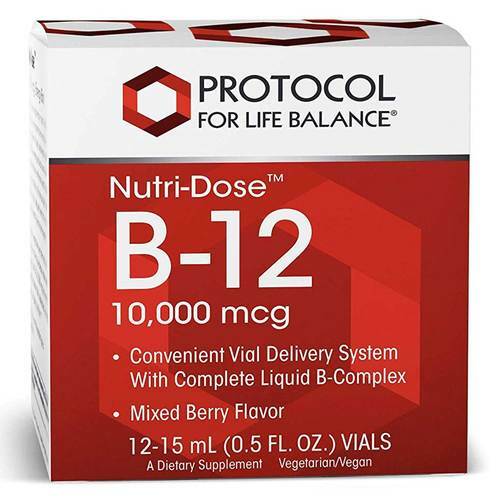 Take 1 vial daily with a meal, preferably in the morning, or as directed by your healthcare practitioner.